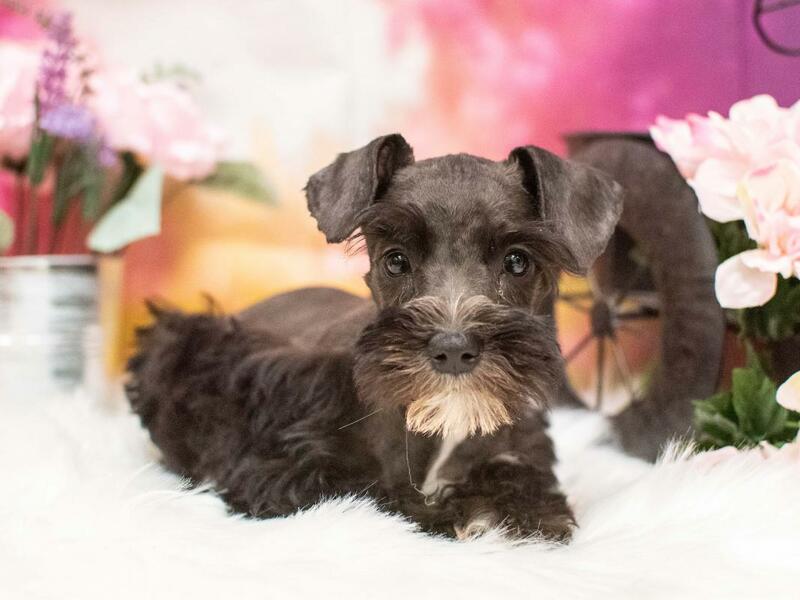 Known for his distinguished, handsome appearance, the Miniature Schnauzer is characterized by its whiskers and double coat, which has a hard, wiry outer coat and close, soft undercoat. Coat colors can be salt and pepper, black and silver and solid black.?? Despite his small stature, the Miniature Schnauzer can give an alarm just as well as a larger dog.?? That, combined with his naturally protective nature, makes him an excellent watchdog. 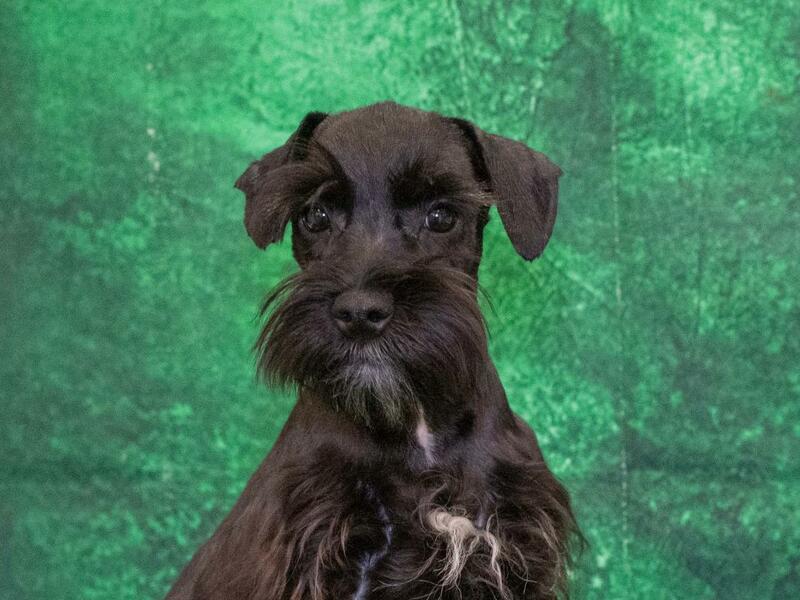 He is also the most popular of the three Schnauzer breeds, which include the Giant and the Standard. Derived from the Standard Schnauzer from Germany, the Miniature was exhibited as a distinct breed as early as 1899. He was originally bred to be a small farm dog, able to go to ground for all kinds of vermin, and is recognizable in German paintings as far back as the 15th century. Smart, trainable and consistently cheerful, this diminutive breed adapts easily to small city apartments, yet remains just as much at home in the country with lots of space to run around. Their double coat requires hand stripping for the show ring or clipping for the average pet owner, but sheds very little. Terrier Group; AKC recognized in 1926. Ranging in size from 12 to 14 inches tall at the shoulder. 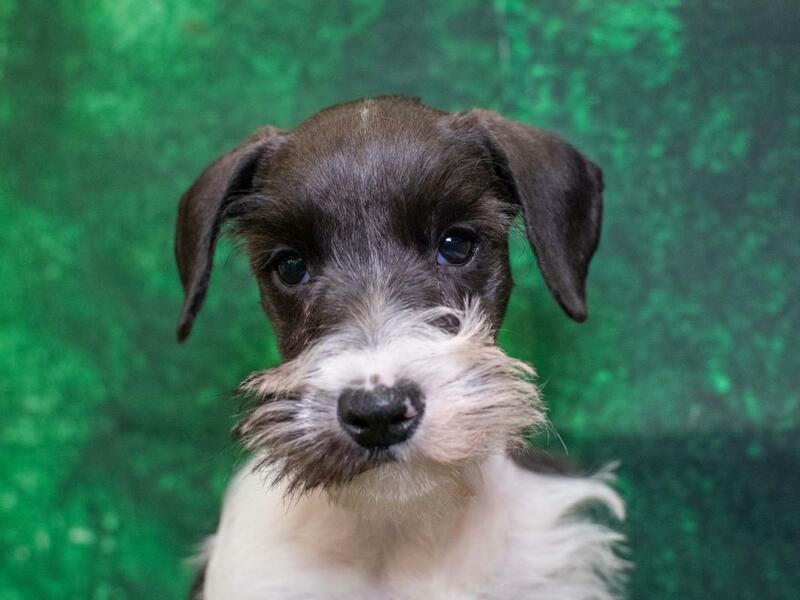 Do you think a Miniature Schnauzer puppy is right for you? 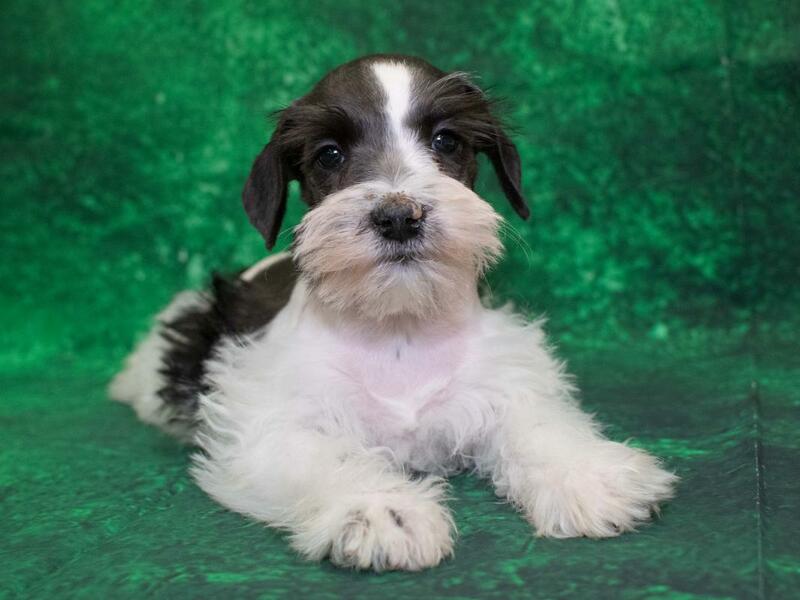 Check out our available puppies page to see our Miniature Schnauzers for sale! 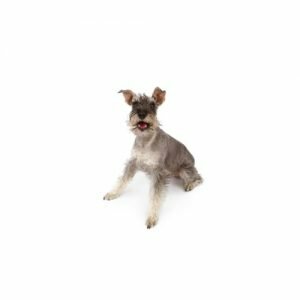 Are you interested in purchasing a Miniature Schnauzer?